Midtown Business Association, in partnership with Sacramento Convention & Visitors Bureau, Sacramento365.com, Mutineer Magazine, Bols and The Citizen Hotel, is proud to present the 6th Annual Midtown Cocktail Week from August 21st through August 25th, 2013. Midtown Cocktail Week (MCW) is a week-long celebration uniting local bartenders, fine spirits, fresh products and artisan cocktails. MCW was founded in 2008 by local cocktail enthusiasts Erick Castro and Joe Anthony Savala in order to celebrate Sacramento’s artisan cocktail movement. 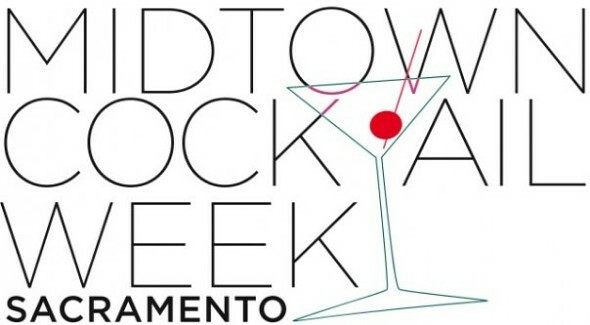 MCW will feature nightly events at various restaurants throughout Sacramento including Hook & Ladder Manufacturing Co, Blackbird, Grange and Red Rabbit with a cocktail competition at LowBrau Wednesday night to kick things off. For an official schedule of events, click here. All events are 21 years of age and older. Education courses will occur all day Thursday and Friday. Highlights include a presentation from David Wondrich and the Drunken Botanist, Amy Stewart. For a complete list of courses, click here. A special home bartending class is scheduled for Saturday at noon. To register, visit here. MCW encourages responsible drinking. During Midtown Cocktail Week, guests can use the code MIDTOWNCOCKTAIL on the Uber app for a free ride home (up to $30.00). During all MCW events and classes, guests are encouraged to use the hashtag #MCWSac through photos and messages on Twitter, Facebook & Instagram. Below are the main events of the 2013 Midtown Cocktail Week. Admission Free but pre-registration required. Limited tickets available. Admission is $10.00 and includes 6 cocktail tastings made by the contestants. 6 local bartenders will compete in a cocktail competition sponsored by Bols Genever. Each contestant will be making a cocktail for the a three judge panel – Neyah White, Martin Cate and David Wondrich and will batch cocktails for People’s Choice. A night of Japanese culture and cocktails including japanese whiskeys, japanese beers and drink specials starting at $6.00. Evening will include a Takio Dan Performance, a Sake Barrel Ceremony and a small bites bar menu. Walking into Grange you’ll believe as if you’ve fallen into a crazy dream time warp. It will feel like you were at an Amsterdam inspired Hollywood Golden Era Grand Gatsbyesque party somewhere between 1920 and 1950. Live music and entertainment will take you through time from Hollywood’s pinup dancers The Satin Dollz to The Silent Comedy with their whiskey tent revival show all the way up to modern beats of DJ Shaun Slaughter. Creative libations and the official release, just in from Amsterdam, of the Grange Select Barrel Aged Bols Genever. Put your dancing shoes on and come dressed in the best you got! Welcome to West End Art Show: An homage to the art & history of this section of our city. The event will feature downtown artists from Exhibit S, live art demonstrations, music and carefully crafted cocktails to showcase the neighborhood’s talent and expertise. The Red Rabbit & Makers Mark present The Best in Show Closing Party! Please join us for some BBQ and bourbon cocktails. We will be giving out 1st place blue ribbons for all of the lucky bars, bartenders, and bar-goers who supported this years Midtown cocktail week. County fair inspired fare, carnival games, prizes! Whole-roasted pigs, photobooth, WHISKEY!!! Plus fair-rock jams by Shaun Slaughter!